This is a true sequence of events describing how the management and staff at one busy bariatric program worked together to make their organization more efficient and patient-friendly to drive surgical volume. We often receive calls from bariatric programs asking if there's a way to streamline their operational processes while providing high standards of care. After all, by streamlining an operational process you can accomplish several important things. First of all, you can perform more surgeries per year, which maximizes your facilities, resources and revenues. Secondly, you can achieve greater productivity from your full-time employees (FTEs) by keeping them busier. And thirdly, you can ensure that fewer patients will drop out of your bariatric program before they have surgery. Remember, if patients wait too long they may change their mind or even go to another bariatric program. Over the last nine years, BariMD has advised hundreds of bariatric programs and learned every situation is different. But the following case illustrates that if there's one rule that can't be broken in a bariatric program, it's that you must have good communication between the bariatric staff to achieve organizational and patient success. Just like the tires on a car, if the bariatric staff is not in alignment, there will be no forward movement. But achieving alignment takes a top-to-bottom transformation in which everyone has an understanding of what is expected of them to advance the organization. PLEASE NOTE: In the case below, the names of the program and its director are fictitious to protect the privacy of our client. Susan Kennedy, a bariatric program coordinator at Sunshine Bariatrics, engaged our company to resolve its operational issues. We discussed their situation several times over the phone. "Somewhere along the line our patients are getting bogged down with paperwork and stuck midway through the process before surgery" she said. At the time of our initial conversation, the process for preparing patients for surgery at Sunshine Bariatrics had been in place for as long as anyone could remember. Despite its limitations, it remained because it was thorough and it worked-although very slowly. As Bariatric Specialists, we are often asked to evaluate bariatric programs to determine ways to enhance program efficiencies, increase surgical volume and improve profitability. The person who initially contacts us typically provides key program information, yet a more in-depth evaluation requires many different perspectives. As such, an onsite engagement was necessary to meet with all of the staff membersindividually to better assess the situation. At the onsite meetings, many staff members at Sunshine Bariatrics reported that they personally were doing everything they could, but they felt that patients were often being held up by others in the pre-surgery process. "I do my part" responded one nurse. It became clear that the nurses, dietitians and other staff members were dedicated to the welfare of the patients, but the problem was more than just a question of commitment. A number of factors can cause efficiency bottlenecks for bariatric programs. So the first thing we recommended was to take the emotional factor out of the equation by objectively looking at the process, one component at a time. This is the only way to identify where the breakdown in productivity lies. It was during the exploration of the communication between the staff that things got interesting. The nurses were inexhaustible—they not only initiated the patient paperwork process, but they also handled questions from patients concerning food allergies, medications, and more. They were much more than just "paperwork pushers". The dietitians were invaluable—they conducted individual sessions with new bariatric patients, provided individualized appointments with all postoperative patients at intervals during the first year, and were still being pulled to the floor for non-bariatric patients. All staff members worked incredibly hard, but they didn't have much insight into what the other staff members did. Very often the duties of each group overlapped significantly, creating redundancies. In many cases, paperwork for patients was being duplicated. What the participants discovered from this exercise was that great employees all want to do a great job -- but they may also be such highly motivated individuals that they take on too much and forget how much they need their co-workers in order for the whole program to succeed. But by communicating with each other, both groups gained a greater appreciation for the role that each plays in the process. So we suggested that Sunshine Bariatrics implement a weekly staff meeting without the program leadership present and a monthly staff luncheon with the program leadership so that all employees continue to stay in touch with each other's role in the organization. Even though job descriptions may sound obvious, it's a good idea to officially clarify individual responsibilities among all those involved. This way, the entire organization can run smoothly by creating a highly efficient system with better communication. By clearly defining the role of each person on the team, we were able to have an upfront conversation about how the workload could be split up. Divvying up the duties in a systematic way is important to avoid duplicating efforts, work more effectively, take advantage of each other's strengths and create a clearer channel of communication among staff members. Now, at Sunshine Bariatrics, there was a clear division of labor—with the responsibilities of each person being well-defined. With a little work, we were able to set up the entire bariatric program to be more patient-friendly, eliminating unnecessary paperwork and making the staff more accountable. Our recommendations proved to be justified. Two weeks later, the program started seeing "dramatic" results. Susan Kennedy told us that her staff was working well together and patients were moving faster through their pre-surgery process. However, we warned Susan that unless she continues to have the weekly staff meetings and monthly luncheons to keep the channels of communication flowing, she would not be able to successfully implement many of the other ongoing procedural, training and leadership recommendations that we continue to provide during our monthly retainer calls. In a growing bariatric program like Sunshine Bariatrics, constant communication takes time, energy and effort. But as Susan puts it, "It's worth it because that's what it takes to stay strong together." Imagine how satisfying it would be to reduce your operating costs and improve your profits while providing BETTER care for your patients. To do so, clearly you need the kind of strong bariatric expertise and operational support that will help you to stand out—apart from your competition. You must have a strong, well developed plan to run your program more efficiently without spending a fortune. You must stay within your budget or even reduce costs while you achieve the maximum benefits for your patients. You must hone in on bottlenecks in your bariatric organization like a laser beam. The secret is all in the way you structure your bariatric program. Most importantly, you must develop a strategic blueprint for success. Since 2004, BariMD has supported hundreds of bariatric programs with its staff of specialists who provide business and clinical solutions to keep programs on top of this field. 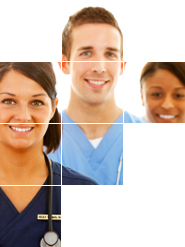 With BariMD, it's as if you're adding a team of experts to your bariatric staff. We can support you with finance, best practices and processes, strategies for effective marketing, management and staff development, as well as guidance for accreditation. BariMD's team of specialists can help, whether you have a single area of need or a complex project. Our consultants are experts, with long experience implementing and running bariatric programs. You're not alone on an island. BariMD is your partner and we're here for you. Find out today how we can help you grow your business while eliminating all the headaches. Visit us at www.BariMD.com or call us at 877.855.9988 to get started.